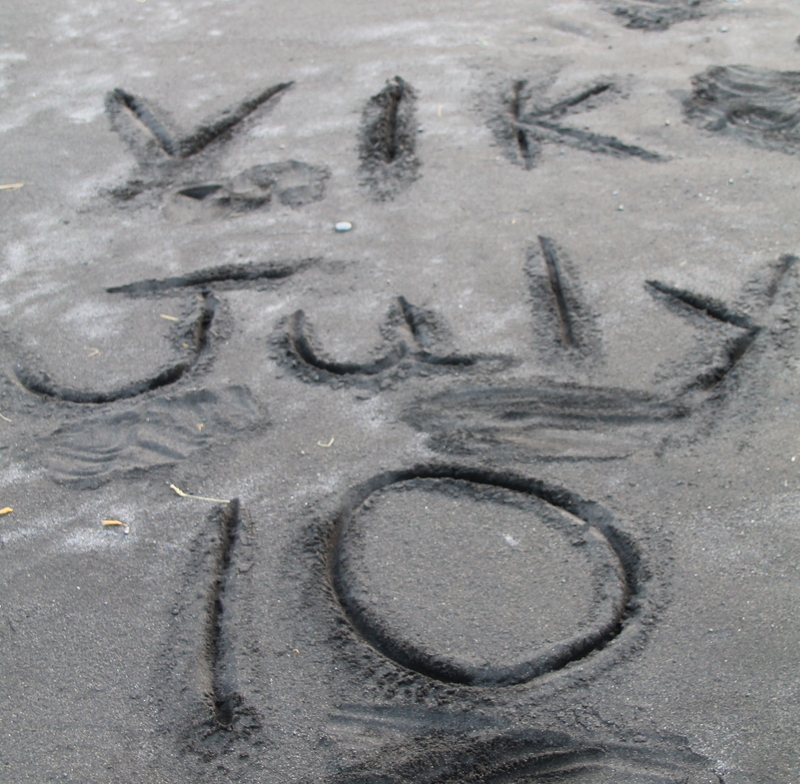 At the beach in Vik we decided to write the date and location in the black sand. 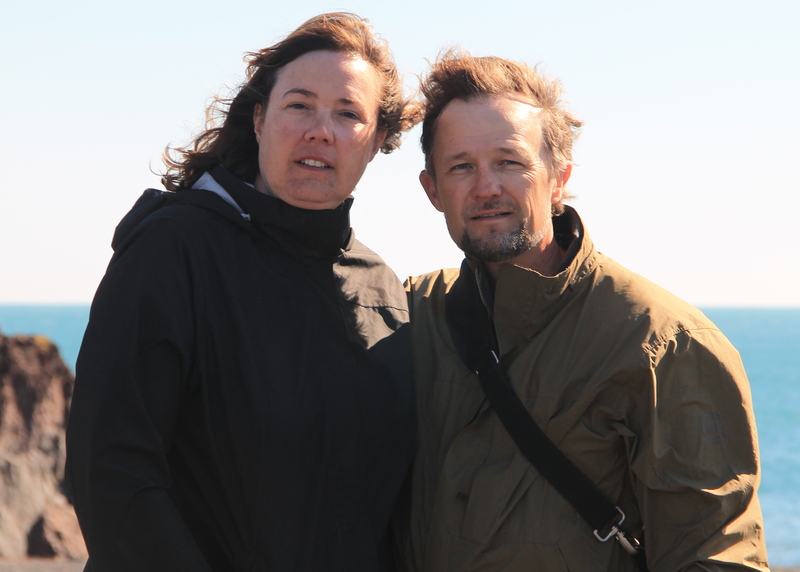 That is when Suzanne and I remembered that it was July 10, our 13th wedding anniversary! Oops. Our anniversary dinner had been a couple cans of chicken cream soup, a box of microwaved breaded lamb nuggets, toasted pita bread, and soft cheese. Patrick tried to convince us that we needed to “splurge” and go for a nice dinner of Icelandic lobster – which I hear are about the size of one of our crawdads and cost about $15 each. We said that a week in Iceland was a sufficient celebration of our marriage this year. No lobster necessary. After the gourmet dinner in the common area of the Vik hostle, we retired to our family sleeping room with individual bunk beds. Love is being able to say “we can celebrate later”. 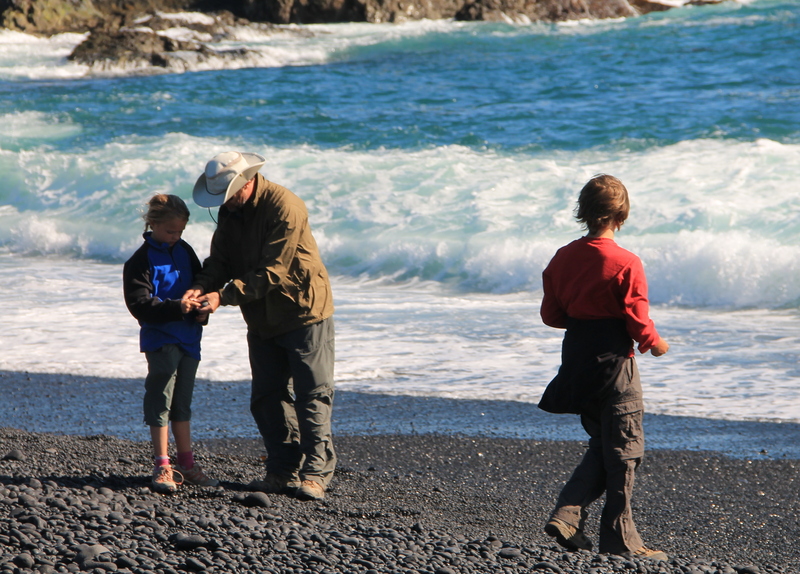 The beaches we visited in Iceland didn’t tempt us to put on our suits and go swimming, but these must be some of the best rock skipping beaches anywhere in the world. Patrick and Alex were working on getting more than 3 skips before a wave swelled up and swallowed the stone in the middle of a skip. The sand is black and the stones are polished round and smooth to the touch. My guess is that the volcanic ash that is washing around on the beaches here is perfect grit to polish the stones to a high gloss. We decided to take a handful of the rocks as mementos. This is a big deal because room and weight in our packs is at a premium. Happy Anniversary Les and Suzanne! Personally, I think Patrick is right on track. Icelandic lobster beats canned chicken soup EVERY TIME in my book. Don’t give up on him Patrick – we haven’t. Looks cold and windy. Happy Anniversary. What a great way to spend an anniversary! We can bring home any little mementos with us that you would like to keep.